HILLSBORO, Ore.--(BUSINESS WIRE)-- Intel’s huge water recycling plant, now under construction in Hillsboro, Oregon, is a key step toward meeting the company’s long-term water reduction and recycling goals. Intel is reducing the water it uses in computer chip manufacturing. It also has set a 2025 worldwide goal to return 100 percent of its water to communities and watersheds for local use. Over the past 20 years, Intel has conserved about 60 billion gallons of water. 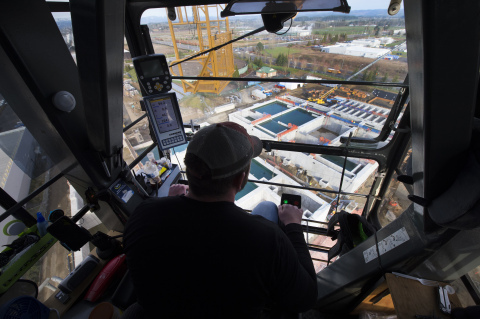 When the three-year Hillsboro project is complete, the facility will be able to recycle about 1 billion gallons of water every year – the equivalent of 90,000 Olympic-size swimming pools. The plant will be Intel’s biggest water recycling facility in the world.